Recently, our good friend Megan had a birthday. Megan’s birthday signifies the beginning of fall for us around these parts, as it falls in the beginning of October, and we always end up making some delicious cake, cookie, or other sweet to celebrate the lowering temperatures and the ability once again to bake. We wanted to make a pumpkin treat, as we did for last year’s celebration, but something perhaps a little simpler (although what is more simple than a bundt cake?) 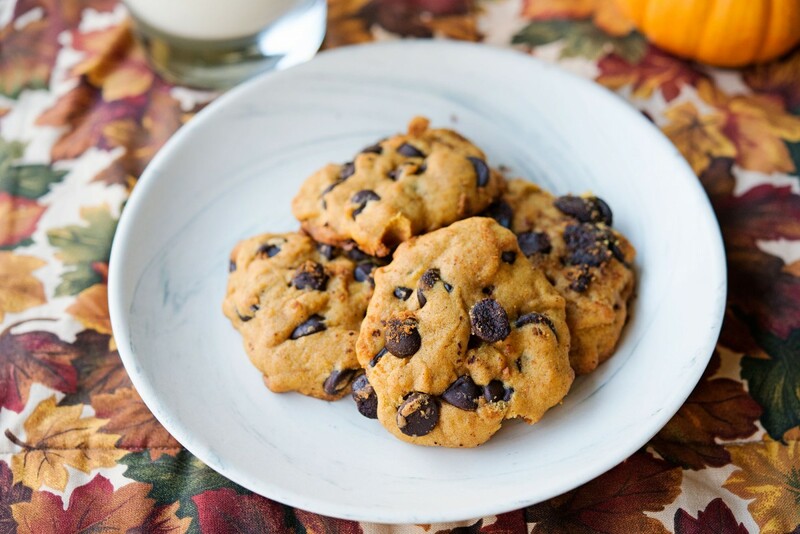 So we settled on pumpkin chocolate chips cookies, which are basically just our recipe for chocolate chip cookies with pumpkin in them. This is our final recipe. We researched several recipes, but ended up using this one from King Arthur Flour as a guide. Although these cookies weren’t as fancy as Megan’s 2012 pirate cake, or her 2011 blackout cake, they were the perfect iteration of autumn. With a glass of milk, they were the most delicious ending to our vegetarian lasagna dinner when we celebrated with her! 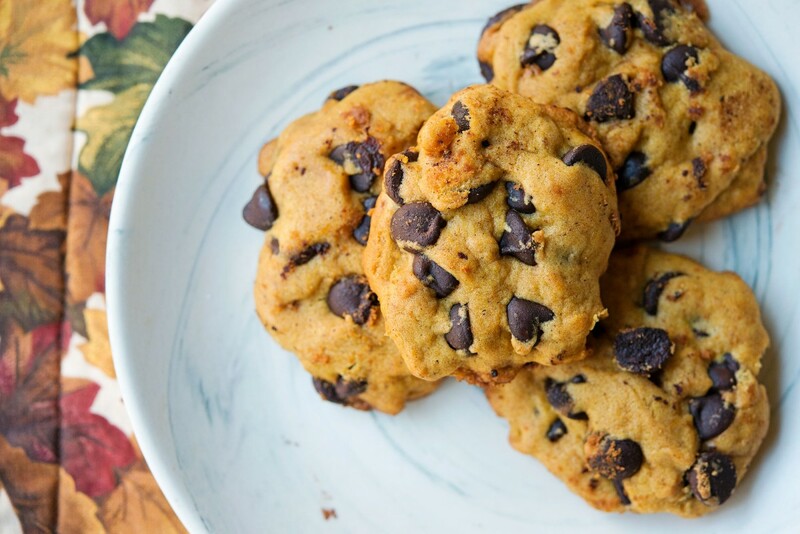 This cookies are easy which is pretty much always our favorite kind of dessert, and they aren’t too fussy to put together. 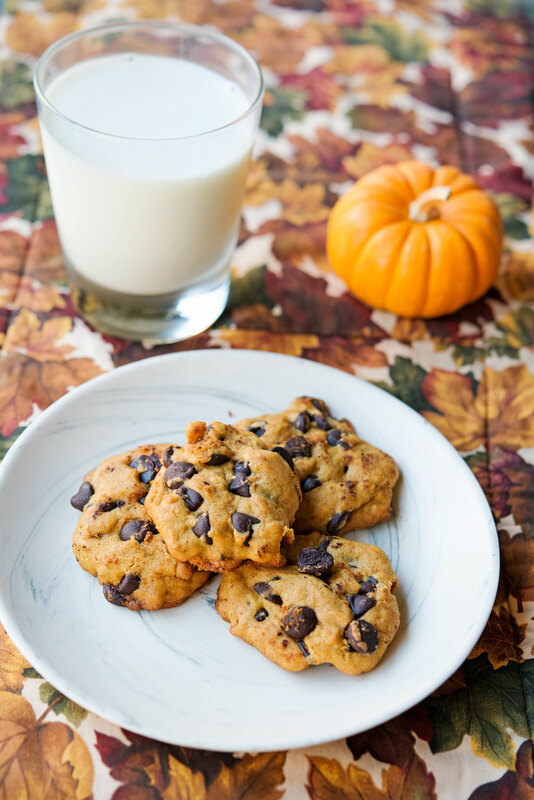 Plus, you can make the dough ahead of time and then bake them later, which is exactly what we did – they fill your house with the most delicious cinnamon-pumpkin-chocolate smell. We hope you get a chance to make these this fall, and if you do, and you happen to make them in Los Angeles, let us know. We’ll bring the milk. Categories: A story of friendship, Autumn, Baking, Birthday, Treats Tags: autumn, baking, birthday, chocolate, chocolate chip cookies, cookie, dessert, megan, october, party, pumpkin, sweet, treat. permalink.